Toshiba has announced a new smartphone camera sensor which will let users alter the focus of photos after the fact, which it hopes will be used in smartphones and tablets in 2013. 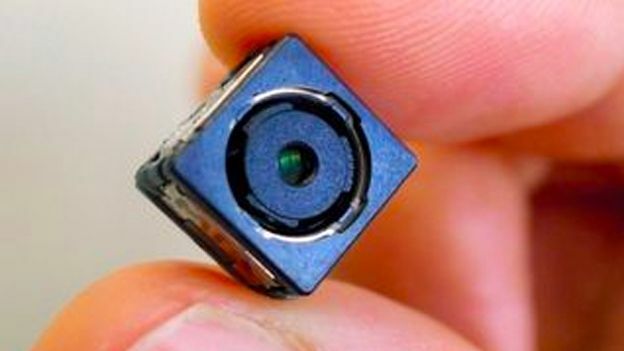 The new camera module contains a whopping 500,000 mini-lenses (0.03mm in diameter) that are placed in front of the sensor, with each capturing a slightly different image. The concept is similar to the Lytro Light Field Camera, which was released earlier this year. In much the same way that 3D images are snapped, the Toshiba mobile can accurately measure the distance between items in the foreground and the background and uses this to make sure all elements of the frame are accurately accounted for. The Asahi Shinbum reports that after the picture is taken Tosh's homegrown software will then allow users to perfectly tailor the focus of the photo or, in fact, produce a blur-free, perfect photograph. Toshiba also reckons the technology will work with video and is currently pitching it to mobile manufacturers. Although hugely impressive, the Lytro sensor was housed in a 4-inch unit. Toshiba's system is barely a centimetre on either side, allowing it to fit comfortably into smartphones or tablets.